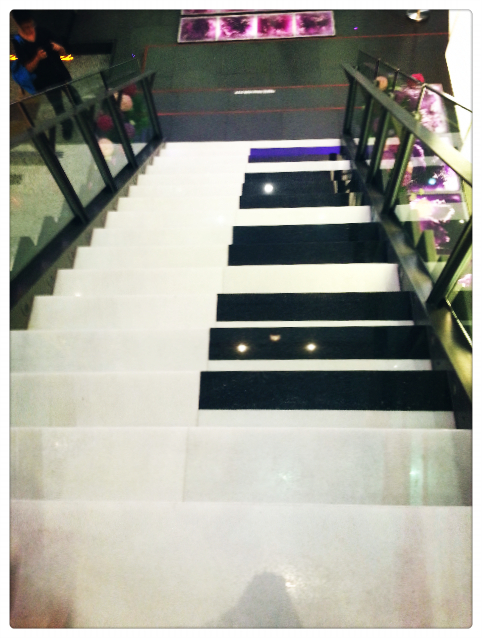 Just went to the piano stairs at Berjaya Times Square. 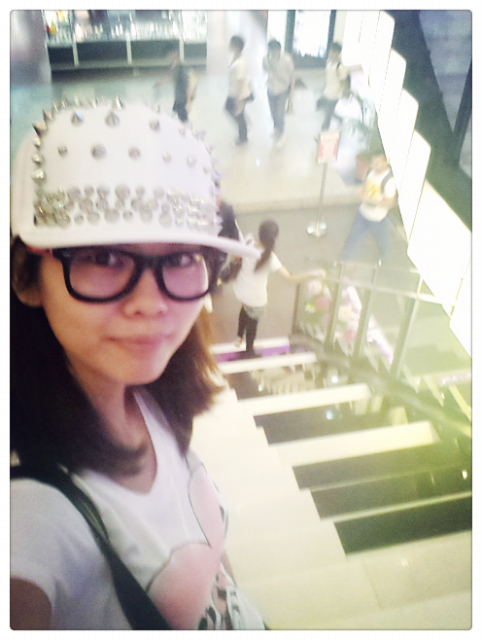 So freaking happy when I saw the stairs because I've forgotten Times Square just recently got these stairs installed! 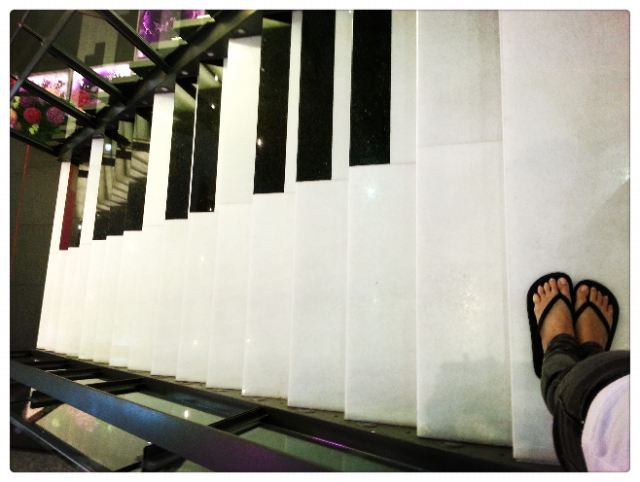 The walk in your life with piano sound at the background. Such a happy feeling! 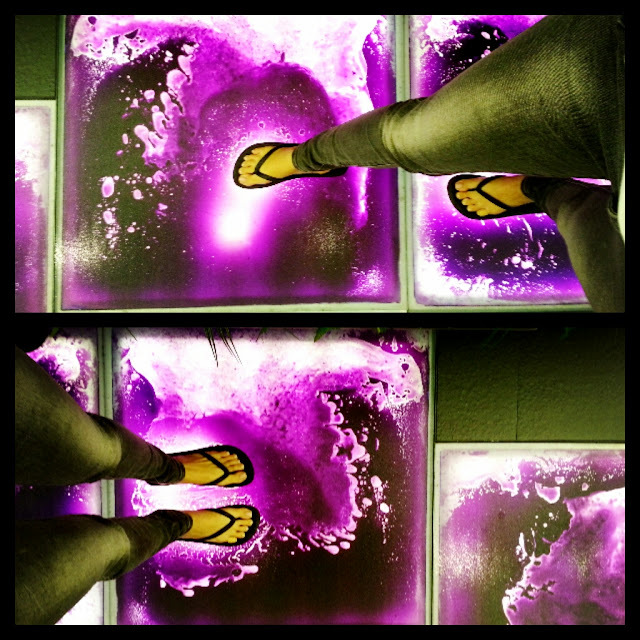 And there's some purple liquid floor tiles below the stairs where the liquid flows with the movement of your feet stepping around. Reminds me of the pink liquid in the movie Upside Down which I just watched.